Last summer, I wrote about my friend Tricia who had been diagnosed with metastatic bone cancer. The Boston area design community was coming together for a “fun” raiser to help Tricia and her husband with the loss of income and expenses incurred when dealing with such a devastating diagnosis. Unfortunately, I couldn’t attend the event, but from all accounts it was a warm and loving one, money was raised and a good time was had – all to honor a woman who knew how to have a good time, whose smile was always the biggest in the room and whose heart was even bigger. Sadly for all of us, Tricia passed away this week. For those of us lucky enough to have spent time with her in her last months, what we witnessed was true grace. Tricia knew how to live and she knew how to let go of life. I don’t know how she did it. But the woman who could get up in front of a crowd and shimmy and shake her assets also knew how to ask for help when needed. And she had multitudes of friends ready to jump in. Sometimes is was just as simple as going to the Tippet House Hospice Home just to hold her hand and watch reality tv for a spell. There were tears, certainly, but there was laughter. Her visitor schedule was so crowded that an online calender was created so we could schedule ourselves in. Her large circles began overlapping – childhood friends, dance sisters and design industry colleagues shared the journey. There were dance parties, dinner parties and Christmas tree decorating parties. Seriously, there is no one else who could have brought such life to a place where people go to spend their final days. I doubt the kind folks there knew what hit them. There was a small but amazing group of women in Tricia’s inner circle whom I am thinking of today. They worked tirelessly throughout the last six months to make sure she had what she needed and were there holding her hand when it was time to move beyond the pain. It feels trite to thank them, but I do. Sadly for me, I didn’t truly understand how amazing a person Tricia was until these final days. 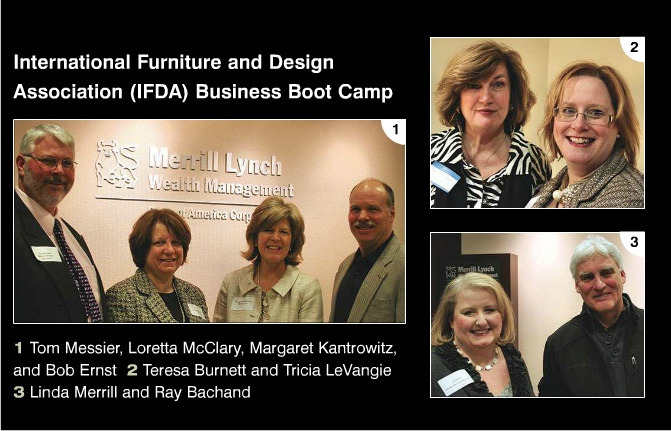 We’d sat on the IFDA New England board together for a year in 2010 and I always enjoyed her company, sense of joie de vivre and professional demeanor. She told me about her world travel (China, Egypt, Germany and on and on) and how she did burlesque and belly dancing. Whoa. Really? But, let me back track a bit. This pic above shows the first time Tricia and I met. It was at an IFDA summer party. She sought me out and wanted to have our photo taken together because people kept mistaking her for me or saying she looked like me. And on occasion, I was asked if I were Tricia. The evening of this party was hot, humid and miserable. I felt miserable, I felt I looked miserable and I really did not want my photo taken. She was likely every bit as hot and annoyed by the weather as I was, but it didn’t matter. And look – Tricia had the bigger smile. It’s funny how those small moments in life pass us by, but we come back to later on to find their meaning. 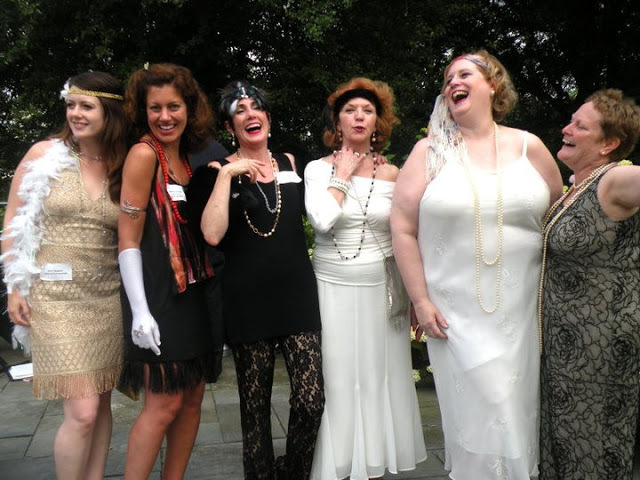 This was the following year (2011 I believe) at a roaring twenties themed party. Seriously, the biggest laugh and smile. When people get sick, we often hear the platitude: tell your family and friends that you love them. It’s said earnestly and it’s true. But I think my lesson from knowing Tricia is that some of us (me) need to pay better attention to those around us who are not family or close friends – because we might be missing someone truly remarkable who is right in front of us. The fact is, Tricia and I never did anything one on one together until she was lying in a hospice bed. Well, that’s just wrong and my life is poorer for it. Going forward, I plan on keeping two things in mind. I need to remind myself to “Smile like Tricia” and to ask myself “WWTD – What Would Tricia Do?”. Tricia would dance like no one was watching and smile like nothing was wrong. The above was printed in a local magazine reporting on an event last March (2012), I believe. Tricia was already experiencing bad back pain that they couldn’t figure out. And yet, who had the brightest smile on the page? Mandarin Oriental hotel. I imagine many will turn out to honor her. 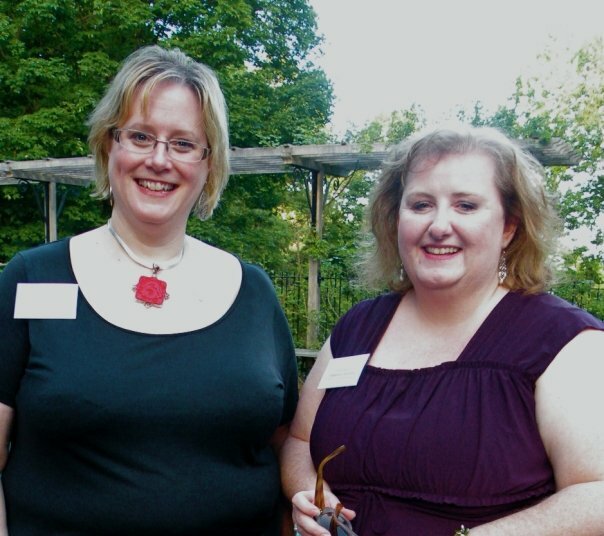 This week, I showed my mother this photo, taken at the 2010 New England Design Hall of Fame dinner. She said – oh, what a pretty girl. She looks a bit like you. And I am honored by the comparison.